Considering a move to San Antonio in Texas? You’re in luck, as there are plenty of great options for you, whether you’re looking to relocate your family or just yourself. San Antonio, the seventh most populous city in Texas and the Southern United States, is currently celebrating 300 years of history, culture, art and innovation. The city’s tricentennial is as good a reason as ever to check out this vibrant community that welcomes young and old. It happens to be the state’s oldest municipality, now enjoying its status as one of the fastest-growing cities in the top 10 largest cities in the country. Bridging the gap between South and Central Texas, San Antonio holds the southwestern portion of the urban mega-region known as the Texas Triangle. 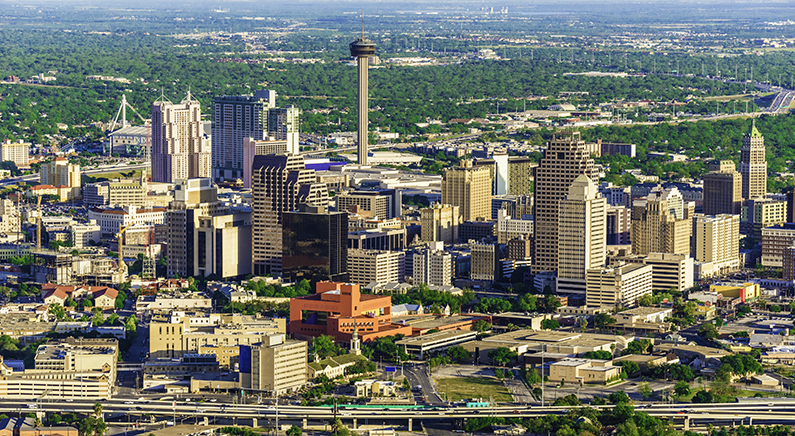 The Greater San Antonio area is home to 2.5 million people. San Antonio, like any major city, is home to a variety of neighborhoods – each with its own unique personality. The one you choose will depend greatly on your budget, family needs, dependence on schools and major highways, and simple personal preference. Here, we’ll outline a few of the most popular neighborhoods so you can get a better feel for what’s out there. Rated very highly overall, Alamo Heights has a population of just 7,800 and a median home value of 514,000. This charming suburb of San Antonio earns high marks in public schools, housing, family life, nightlife and diversity, with a low crime rate. Also scoring high in public schools, housing, family life, nightlife and diversity, Tanglewood Ridge is home to 2,100 people. Like other parts of San Antonio, the weather is a big draw, as is the decent cost of living and job availability. This area is a hub for transportation, amenities, attractions, shopping and dining. If you like to be close to the action, the vicinity around the airport is a nice place to look for a home. The median home value is just $174,000, making it fairly easy to own a home here. The public school system ranks well, with this area earning top grades for family friendly living. If you’re looking for diversity, Kirby is the place. The school system doesn’t score as well as other neighborhoods but it is considered a decent place to raise a family. Nightlife is just so-so, but if diversity and culture are high on your list, take a look at Kirby. Also scoring high in diversity is Ingram Hill, with excellent public schools, great family living, and awesome nightlife. Population was 1,800 at last count, with a median home value at just $96,000. When you find the perfect neighborhood, call your trusted residential movers to get you there. Contact us at 210-722-1322 or email us at info@bestmoversintexas.com. We can give you a free estimate when you call or fill out our online form.